Oregon DUII Defined – Driving a Vehicle. What Does Vehicle mean? 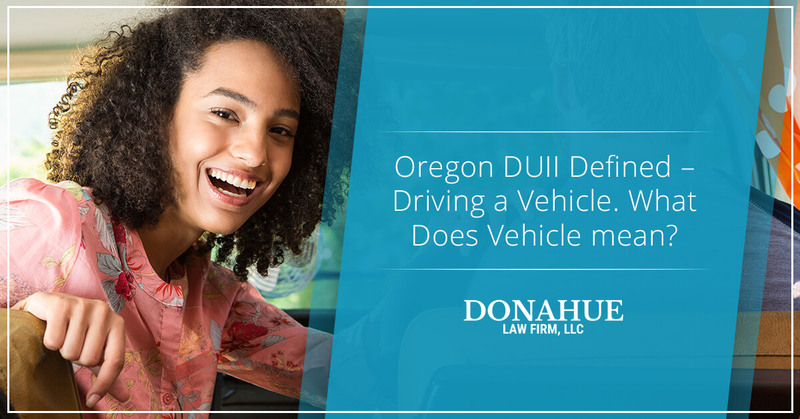 For the purposes of Oregon DUII law, a person must be driving a vehicle to be charged with a DUII. So, what constitutes a vehicle? It shouldn’t come as a shock that vehicles include cars and trucks and motorcycles and things of that nature — motor vehicles. But did you know that a DUII may also apply to boats under ORS 830.325. What about everything else a person can ride, paddle, or “drive”? Yes, riding a bike, even though it doesn’t require a driver license, doesn’t have a motor, and doesn’t require insurance, is considered a vehicle for the purposes of DUII. The Court of Appeals of Oregon addressed this question in State v. Woodruff, 81 Or.App. 484 (1986). In short, Woodruff was arrested for DUI while riding his bicycle along Hwy. 97, outside Bend, Oregon. The administration of a breath test suggested defendant had a BAC greater than 0.08%, the legal limit. Defendant’s attorney argued the breath test was not admissible because the Implied Consent Law does not apply to bicyclists. While the Court agreed with defendant and suppressed the breath test results, it also explained that bikes are vehicles for the simple fact that while on public ways, bicycles have the same rights and duties (obligations to follow traffic laws) as any other vehicle operating on highways. (As applied under former ORS 487.750, now ORS 814.400). While Oregon DUII law is a crime, it also fails under the vehicle code. Thus, since bicyclists are required to follow the same traffic laws as cars and trucks, it includes observing the prohibition against driving intoxicated. Since the decision in Woodruff, ORS 814.400 has since been amended to specifically define bicycles as vehicles for purposes of the vehicle code. I know what you’re thinking: “But you can’t drive a bicycle!” Woodruff tried that, but the Court wasn’t interested. 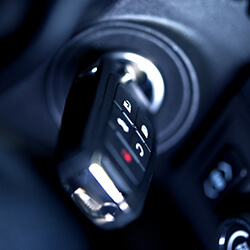 Rather, the Court reasoned that under former ORS 487.750 a driver is anyone who exerts physical control over a vehicle. Accordingly, since a bicycle is a vehicle for purposes of the traffic code, riding a bike is physical control over a vehicle and thus, driving. What about other non-motorized means of travel? Rest assured that while walking might be exerting physical control over sneakers, neither walking nor running are subject to the traffic code. What about skateboards, rollerblades, roller skates, roller… shoes? The Oregon Court of appeals addressed these questions when it decided State v. Smith, 184 Or App 118 (2002), specifically within the context of skateboards. In Smith, defendant was skateboarding on a sidewalk in Portland, OR, when he struck a pedestrian. After giving chase and being caught, a police officer cited defendant for the crime of reckless driving (yes, reckless driving), among other offenses. As with Woodruff, Smith argued to the trial court that a skateboard is not a motor vehicle and cannot be driven, thus it is not a “vehicle”. As with Woodruff, the trial court again disagreed. On appeal, defendant argued that ORS 801.026(6), expressly excludes from the vehicle code, devices other than bicycles that are exclusively human powered. Reckless driving, like DUII, are crimes falling under the vehicle code. The State argued the statute does not apply to reckless driving because it is meant to govern the regulation of vehicles themselves and not the manner in which they are operated. The Court first addressed legal questions regarding preservation (whether defendant could raise the question in appeal having failed to do so at the trial level) before turning to the vehicle question itself. After lengthy analysis of both the text of the statute and its legislative history, the Court held that ORS 801.026(6) does apply to the operating of motor vehicles and accordingly, skateboards are exempt and the decision of the trial court was reversed (defendant was found not guilty on appeal). This holding is significant because it decided more than just the immediate question regarding the offense of reckless driving. It also decided that skateboards and other devices operating exclusive under human power, are exempt from the vehicle code. Relevant to our purposes, The Smith decision signaled that Oregon DUII law DOES NOT apply to not only skateboards, but all other exclusively human powered means of transport (except bicycles). Accordingly, roller skates, rollerblades, etc., should all be exempt from DUII prosecution. That being said, it doesn’t mean law enforcement or the State won’t attempt to prosecute anyway. Lastly, this also doesn’t necessarily mean human powered means of water transport are excluded under Oregon’s BUII (boating under the influence) statute. More on that to come. If you or someone you care about has been arrested for DUII or is under investigation, contact the Donahue Law Firm today for your free consultation with a Bend DUII Lawyer. Call today: 541-241-6657.